The original Castlevania released 31 years ago on the Famicom in Japan. It launched a franchise that dominated games for decades. But there’s one game in the series that’s woefully underappreciated, the Game Boy Advance’s Circle of the Moon. 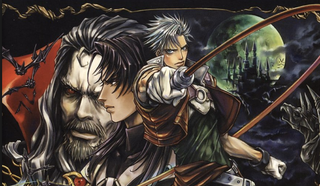 Released in 2001 as a flagship title for the Game Boy Advance, Circle of the Moon followed the abysmal Castlevania and Castlevania: Legacy of Darknessˆfor the Nintendo 64. Instead of seeking to reconstruct the series by returning to its roots, Circle of the Moon opted to take the “Metroidvania” style established by 1997’s Symphony of the Night. It streamlined the formula into a focused experience with enjoyable navigation and an easy to understand magic system that offered a surprising amount of depth. Circle of the Moon casts players in the role of Nathan Graves, a trainee vampire hunter who departs with his master and another fellow trainee to stop Dracula when he is summoned once more. Unlike later games such as Aria of Sorrow, Circle of the Moon was light on story and focused more on environmental design, using dark tones and gothic designs to capture an unrivaled sense of place. The dark color palette drew criticism for being too difficult to see on the original Game Boy Advance’s screen, which lacked a backlight, but one only need look at the overly-bright technicolor sequel Harmony of Dissonance to see how effective Circle of the Moon’s palette was in creating an imposing game space. It’s not about being dark or broody; it’s about creating a sense of pace. The castle is broken up into discrete areas, such as a poisonous sewer and ghost-filled clocktower, but these spaces never feel random or chaotic like the fractured spaces of Super Castlevania IV or the Nintendo 64 titles. Instead, they naturally flow from one to the other; Dracula’s castle has never felt more coherent and believable than in Circle of the Moon. The game’s soundtrack tends to go undiscussed in conversations about the series’ best music, but Circle of the Moon’s often understated score is essential to the game’s tone. Symphony of the Night’s option screens were powerfully silent, but Circle of the Moon’s teem with haunting choral elegies. Tracks like “Sinking Old Sanctuary” start with little more than downbeat notes and tiresome chimes before building to momentous techo-beats. “Awake,” the track for the game’s opening catacomb level, stands next to series classics like “Bloody Tears” and “Vampire Killer” as one of the finest pieces in the series’ canon, with flitting violin strings and flute flourishes that mingle with a heavy bass slap. Circle of the Moon’s music is a fervent push onwards towards the ultimate battle against evil. The game is not simply a powerful mood piece. Rather than weave a complex tapestry of equipment, magical transformations, and hidden endings like Symphony of the Night, Circle of the Moon opted for game systems that were far less arcane and complicated. The key feature is the Dual Set-up System which gives players two decks of ten cards: one for actions and another for attributes. By combining cards from both sets, players can gain certain powers. For instance, the Mercury card always combines with different attribute cards to create elementally imbued whips that do extra damage to certain enemies. The Saturn card can be matched with attribute cards to create familiar spirits that fight on the player’s behalf. Some combinations create healing spells; others give players special weapons. Although there are 100 possible combinations to create, the system is never overwhelming, as the core concept is incredibly easy to understand: match magic cards, get cool powers. If depth is the result of maximum effect for minimal complexity, the DSS system is one of the series’ most robust gameplay flourishes. 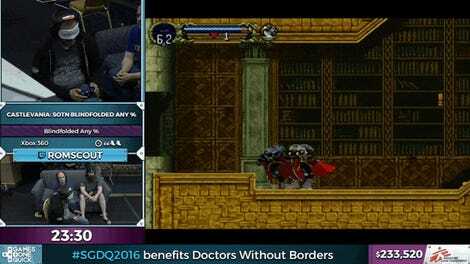 The end result is a title that doesn’t just streamline the Metroidvania formula but one that actually builds upon the Castlevania series by creating a world with a powerful mood and deviously fun gameplay mechanics. Circle of the Moon has shifted in and out of creator Koji Igarashi’s official Castlevania timeline, but to write it off as a mere sidestory, not as pretty as Symphony of the Night or as epic in scope as Aria of Sorrow, is to ignore how damn good it is.